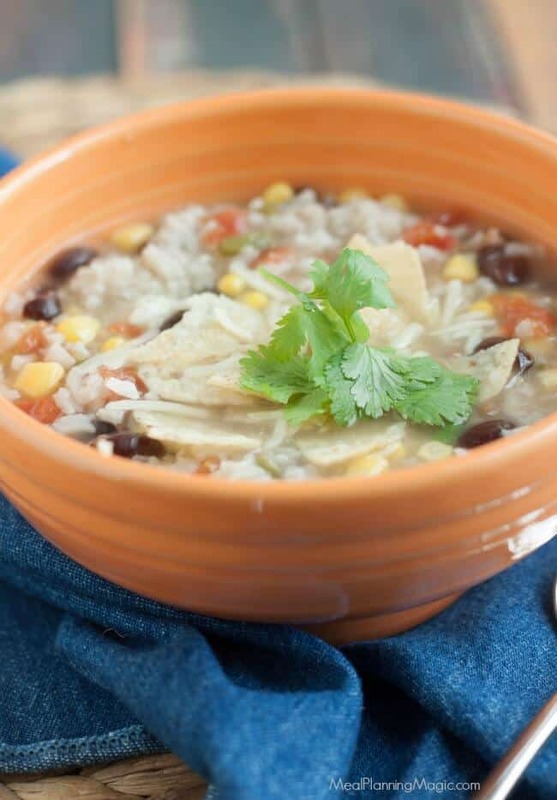 My Chicken Rice and Black Bean Tortilla Soup is a family favorite that is full of flavor and easy enough you can have it on the table in about 30 minutes! This post originally appeared here over four years ago. I’ve updated the photos and post a bit. 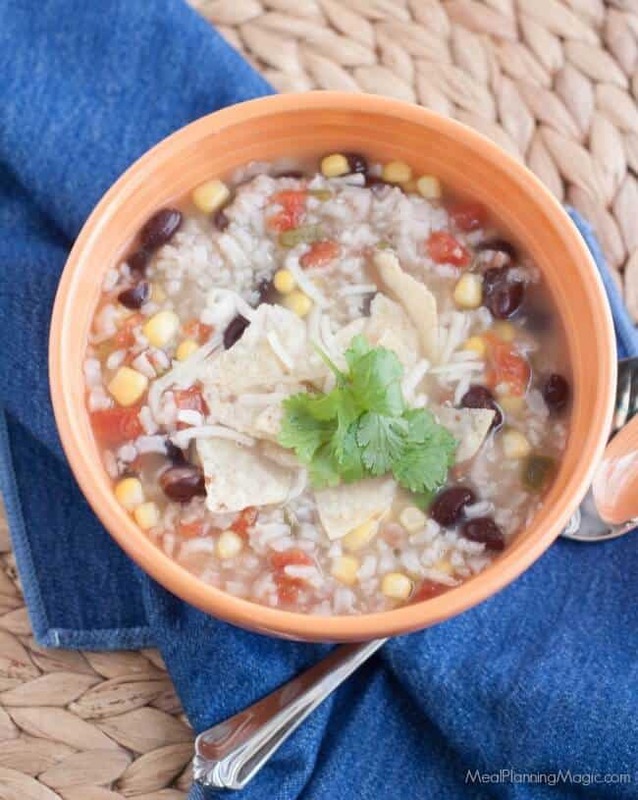 Click here to PIN this Chicken Rice and Black Bean Tortilla Soup recipe! 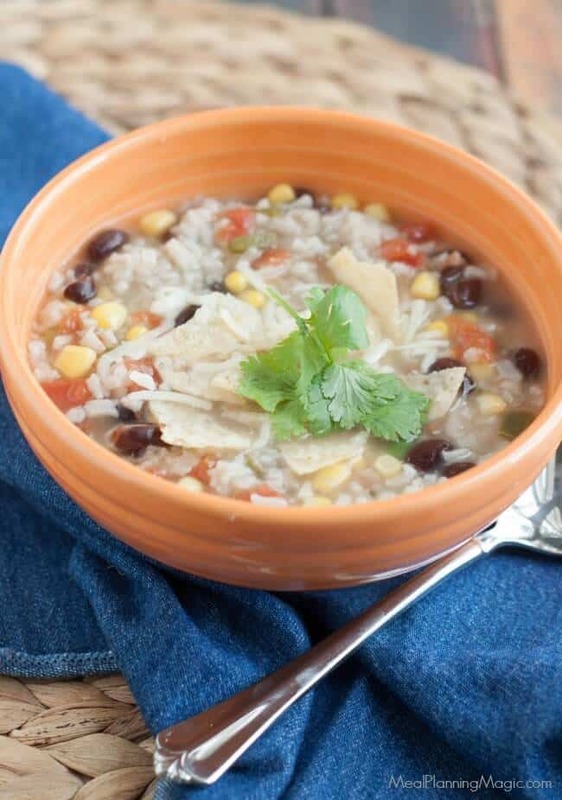 This Chicken Rice and Black Bean Tortilla Soup is so easy, you’ll want to make it over and over. I have been making this soup forever! I got it originally from a recipe I clipped out of the newspaper back when I was in college (and that really was forever ago!). It was based on a famous Houston area restaurant’s recipe but over the years I have tweaked it and made it my own. My family loves it and I love that it is so easy to put together! You can make it and have it to the table in less than 30 minutes. Serve it with a garden salad or cornbread and you’re good to go on a wholesome, hearty meal your whole family will enjoy. I am lucky that my family loves soup because they are one of my favorite meals to make. I like that they are a one pot meal and that they are an easy way to add some vegetables too. In fact, soups and chili is one of the largest category of recipes on my website. 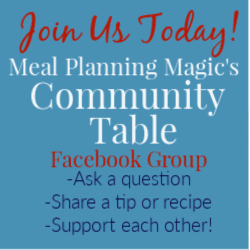 You can check out more favorites here that include Crockpot Lasagna Soup or BLT Soup. We eat soup nearly year round (except during the hottest months of summer in Texas). Sometimes my son can be a little picky about certain vegetables but when they are in a soup with other flavors that he likes, he’s more likely to give them a try. I will say that it was mostly because of this soup that my family will eat black beans too! I had made it for years as the original recipe but then decided to add the corn and black beans (and adjust a couple of other things) and since it was already a favorite, my family barely blinked an eye at the additions. Maybe I’m lucky as others might notice something “weird” or different but it really didn’t change the overall flavor at all and now I feel better knowing everyone is getting a healthy protein and more vegetables in this soup. What’s your favorite kind of soup? 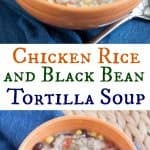 I hope you’ll give Chicken Rice and Black Bean Tortilla Soup one a try too! 2 cups chicken or turkey breast cubed (shredded rotisserie chicken works great for this too! In Dutch oven or large saucepan, sauté onion in oil over medium heat. Add chicken broth, tomatoes with green chilies, chopped green chilies, chicken or turkey breast, beans, corn and rice. Cover and simmer for 20 minutes. Stir in lime juice. Just before serving, pour into soup bowls; top with tortilla chips and shredded mozzarella cheese and optional avocado. Makes 4-6 servings. I’ve got some leftover chicken looking for a home and this would be perfect! Thanks! Sounds great! Hope you enjoy.